An Essex man who started playing the Maryland Lottery’s popular Racetrax game about a month ago enjoyed a winning case of beginner’s luck. The 52-year-old joined the ranks of the game’s big winners with a $16,191 Superfecta Box win on December 12. A friend showed him how to play and suggested he always place Superfecta Box bets, which require a player’s four horses to finish 1st, 2nd, 3rd and 4th in any order. Luckily, the novice Racetrax player listened to his friend when he placed his bet at the Quick Mart in Towson! His horses – numbers 2, 7, 9 and 10 – galloped across the finish line together to win the big cash prize. The winner told Lottery officials that he woke up on Dec. 12 feeling lucky and headed to the Quick Mart to place a few Racetrax bets. After several days went by, he remembered that he had a few tickets to check for winners. 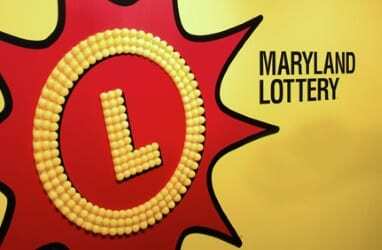 The loyal Maryland Lottery player is no stranger to winning other games. He claimed a $6,000 prize over a year ago on a Pick 3 ticket. The happy man said the Racetrax prize will certainly make for a more generous Christmas this year. “Now I can splurge a little more on my family friends this holiday season,” he said. His lucky Maryland Lottery retailer also wins! For selling a winning Racetrax ticket of $10,000 or more, Quick Mart located at 8604 Loch Raven Boulevard, earns a $161.91 bonus from the Maryland Lottery. The bonus equals 1 percent of the prize.